XLure R.T.U. 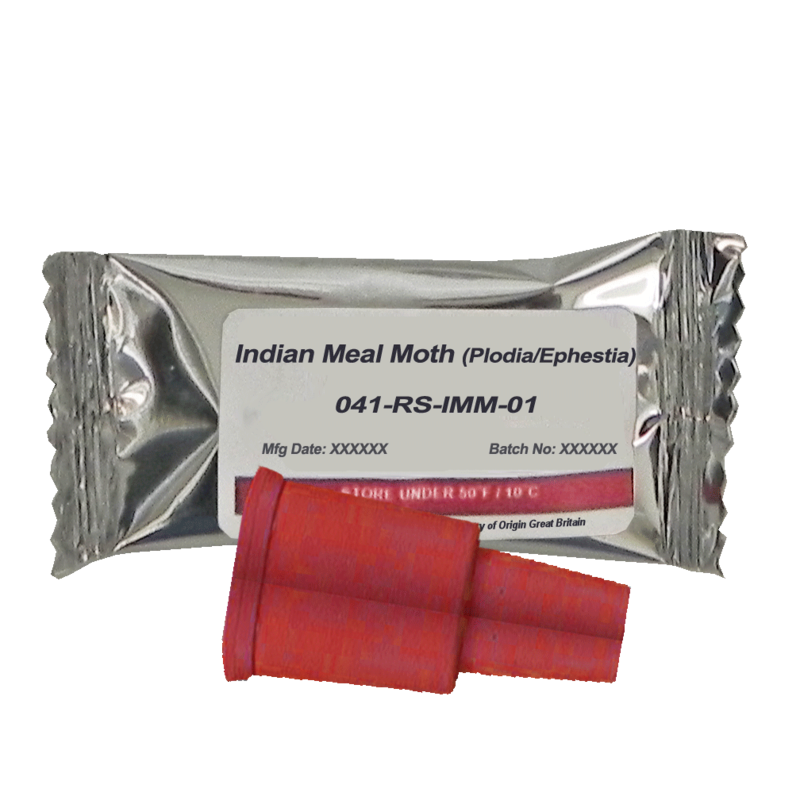 (Ready to Use) IMM Traps are pre-baited with multiple pheromones to attract Plodia, Ephestia moths (Indian Meal Moth, Almond Moth, Raisin Moth, Tobacco Moth, & Mediterranean Flour Moth. XLure R.T.U. 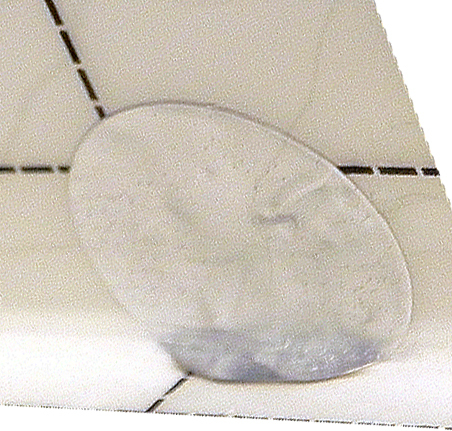 traps are pre-baited eliminating the guesswork… Pheromones are loaded directly in to the glue, PMPs have a ready-to-use stored product insect monitoring trap with absolutely no guesswork and less room for technician errors….like inserting the wrong pheromone septas inside the trap… or worse, installing no pheromones at all. XLure R.T.U. traps are pre-baited reducing the chance of trap contamination…. Another benefit of pre-baited traps is less technician handling of the actual pheromones. Less handling reduces the chance of contamination of the trap. 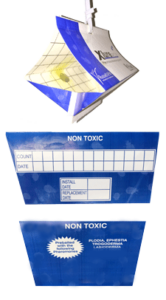 Nicotine from tobacco products, hand lotions, perfumes and even hand sanitizers can be transferred from the installer to the trap. These contaminants can cause insects to be repelled instead of attracted to the trap. The less handling, the less opportunity for contamination. XLure R.T.U. traps are installation friendly time savers…. Pre-baited also means a lot less labor in installation and replacement of traps in your accounts. With XLure R.T.U. traps, simply remove the traps from the protective re-sealable foil bag, un-fold trap and hang. With traditional traps, un-folding the trap is just the beginning… pheromone dispensers must be added to monitor the target insects. To get the equivalent to an XLure R.T.U. 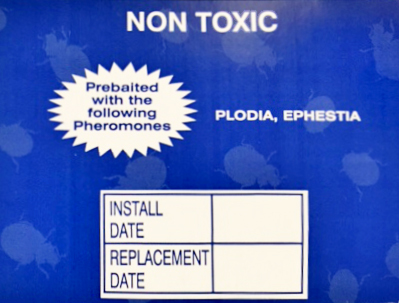 IMM trap, pheromones for Plodia, Ephestia and Lasioderma serricorne must be added to a traditional monitoring trap. Add the number of pheromone dispensers needed per trap and then multiple that number by the number of traps to be installed in your account. You can quickly visualize how much time and labor XLure R.T.U. Traps can save you and your company. XLure R.T.U. traps render accurate monitoring data… Most importantly, XLure R.T.U. traps have been depended upon for many years to render accurate insect population data in critical, low to zero insect tolerance accounts. Your customers depend upon you to help them protect their brand names… you need a pheromone monitoring system in place with an excellent track record. You can rely upon XLure R.T.U. XLure R.T.U. traps can go the distance… because of patented technology, Pherogel, we are able to load the pheromones directly in the glue AND protect those pheromones from releasing too quickly. Pherogel is the regulator that allows the pheromones and attractants to release in to the environment at a steady consistent rate, regardless of temperature spikes, attracting the target insects for 10 – 12 weeks. 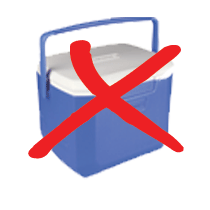 … No Special Storage Needs: No refrigeration or cooler is required to store XLure R.T.U. traps. 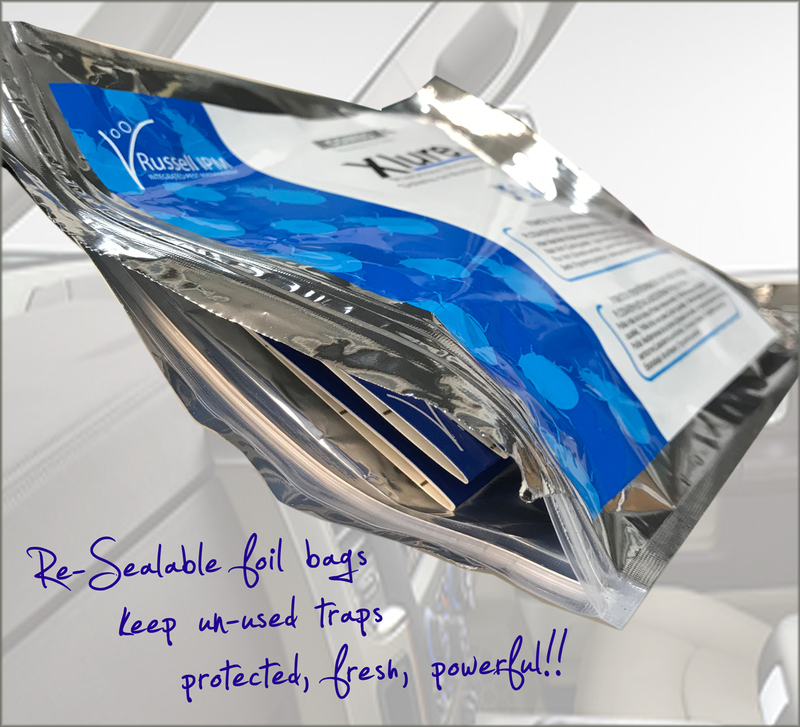 Even in the hot summer months, have peace of mind when working your routes that the powerful pheromones are protected inside the special re-sealable foil bags…. Safety Feature reduces your liability: Each Trap has a metal strip to prevent undetected entry into food production lines that utilize metal detection equipment. … Record Keeping & Trap Info on lower panels keep you on track: The 2 lower panels of each trap have areas to enter Install & Replacement Date and a table to record weekly insect counts. A listing of targeted insects attracted is also printed on lower panels for technicians and account auditors and inspectors. 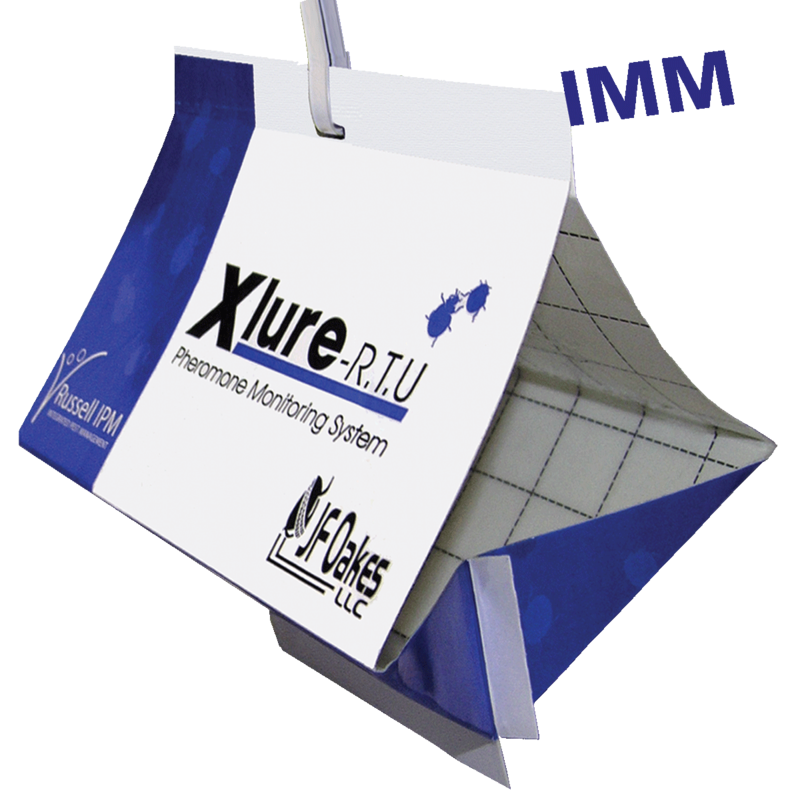 XLure RTU -IMM diamond traps can be use as part of a comprehensive monitoring program in food processing facilities, supermarkets, delicatessens, food storage warehouses, restaurants, bakeries, pet stores, museums, etc. The rate of use will depend largely on the structure of the monitored location, layout of machinery and ventilation outlets. 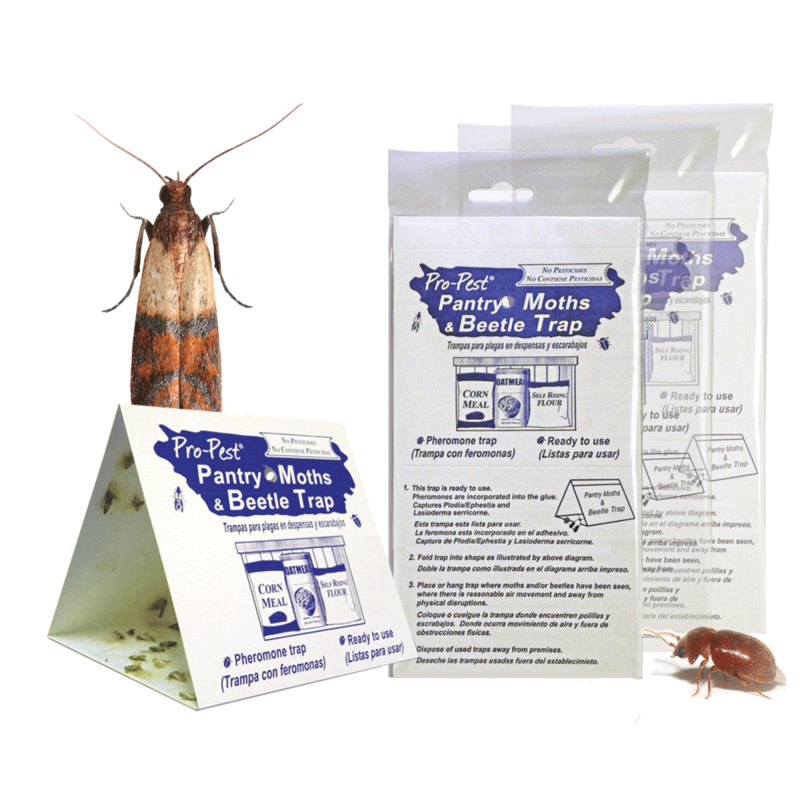 For a starting point, place traps in a grid pattern (30 – 50 ft.); or in shorter interval to pin point infestations. This rate may be changed later to take into consideration the above mentioned parameters. Place traps approximately head height in an area with good air movement. Avoid blocking air flow of the trap entrances. Place away from fork lift pathways and other potential moving objects. If possible, positions should be chosen that offer shelter for the trap (example: near fire hoses or fire extinguishers). When they are replaced, the positioning should be altered as little as possible so that information from different times of the year can be accurately compared. Traps should be placed when temperatures reach 55 F or higher. XLure RTU -IMM diamond traps will attract the target insects for 10 – 12 weeks. See Product Information & Brochures to read more about XLure R.T.U. Traps. See Additional Information for Item numbers.